"Everything works great and the staff is very attentive, cleanliness and organization,good food"
Due to the renovation in the hotel is completely renewed both externally and internally and is pleased to receive its old and new guests with four-star rooms and high-standard services. The full-fledged renovation included hotel rooms, conference and meeting rooms as well as the catering units. Out of the 196 air-conditioned hotel rooms there are 162 double rooms (of which 42 can be connected and five are adjusted to the needs of the physically handicapped), 28 apartments and 6 luxury suites. Some of the apartments and suites are equipped with an indoor or outdoor jacuzzi and/or fireplace. The elegant restaurant, capable of receiving about 450 guests, the lobby bar, the conference halls (seating 450, 150, 100, 80 and 50 people), the meeting rooms, as well as the garden of the hotel unique in Szeged are all suitable for the organization of high standard events and garden parties. As new services a four-track bowling facility with a bar, an Xbox room and a playing room are available to our guests. The ”beauty farm” includes a beauty parlor, a hairdressing salon, a solarium as well as a manicure and pedicure salon. Next to the billiard section our guests can enjoy sport events on the giant projection screen. 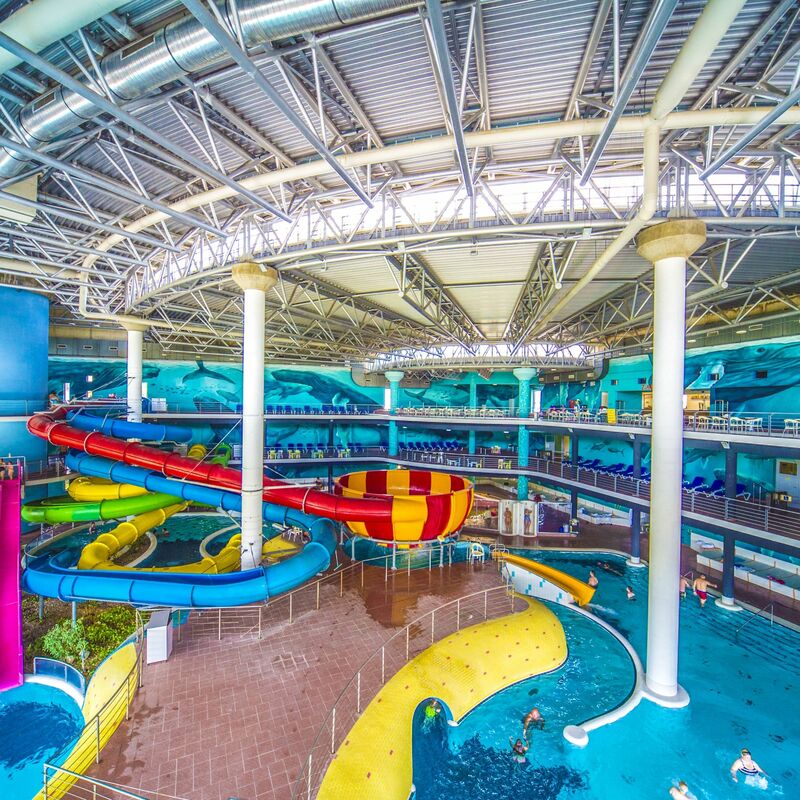 The spa complex (“Napfényfürdő Aquapolis Szeged”) with the maximum capacity of 3000 people in the vicinity of the hotel was also renewed within the framework of a six-billion-forint investment. A new cure, wellness, adventure and spa facility was constructed offering for each age group 4,400 square meters of water surface for recovering (day-time hospital), relaxing (”quiet wellness”), regenerating (massage rooms, saunas), entertaining (adventure pools) and active resting (the longest water chute in Europe, operating all over the year). New reservation 58 minute(s) ago! The rating of Hunguest Hotel Forrás Szeged is 9.3 from the maximum 10, 1090 based on actual and valid guest ratings and reviews. "I think the hotel should allow the use aqapolis on the day of departure, as is the case in Slovenia and Croatia,"
Based on the reviews and comments of actual guests, the services of the Hunguest Hotel Forrás Szeged have received a high rating of 9.4/10.